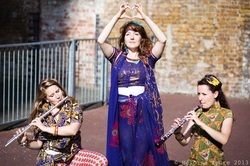 Music Off Canvas is a UK based organisation specializing in cross‐arts practice, creating unique new works through group improvisation for performances and workshops. The Serendipity Trust partnered with Music Off Canvas and linked these talented musicians with local schools in the Southern Province. Kalahe Sri Sumangala MV and Dangedara Jayawardena MV were the lucky schools selected to participate in these fun and innovative music and movement workshops. The ‘Before Language’ brought two musicians and a movement specialist to Sri Lanka from 2nd‐16th November to coincide with the Commonwealth Heads of Government Meeting. They were also commissioned to compose a piece during their visit which incorporated material explored in their workshops with the local schools. 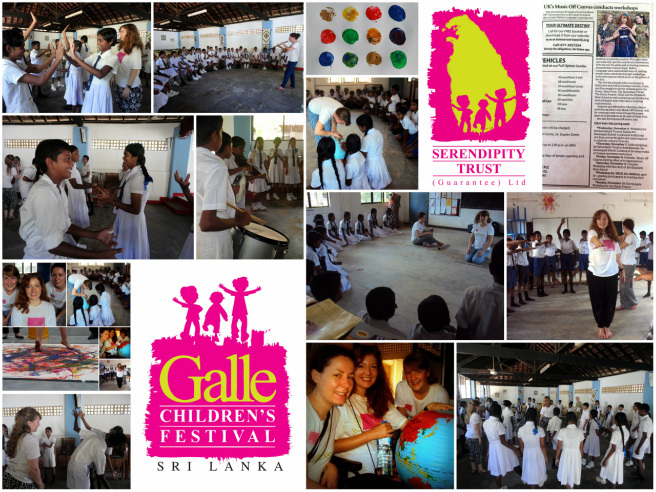 Students from Kalahe Sri Sumangala MV and Dangedara Jayawardena MV had the fantastic opportunity to take part in their creative music and movement workshops. The workshops were highly interactive and responsive, encouraging students to create their own works inspired by the jungle and ocean, through group improvisation on a chosen instrument, body percussion, vocal effects and movement exercises. Check out some photos from their sessions below!